John Woolhouse Taylor was born in Ballarat around 1871, a son of Thomas Taylor and Eliza Woolhouse. Thomas and Eliza were married and 1860 and had five other children, the first three born in Richmond before they moved to Ballarat around the mid-1860s. Sometime in the 1890s, John Taylor left Victoria for Western Australia to try his luck at mining at Coolgardie. Meanwhile his father had died and his mother Eliza went to live with John’s oldest brother Thomas Henry Taylor in Hamilton. Thomas worked for A.A. Miller & Co and held a management position. He lived first in French Street but later moved to Inglecroft in Brown Street, marrying Lucy Rogers in 1905. By 1903, John Taylor lived at Ora Banda, Western Australian and was a co-owner of a mining company. He also became secretary of the local branch of the Miners’ Union. On 1 September 1915, having travelled to the Blackboy Hill Army Camp in Perth, John enlisted and was assigned to the 28th Battalion, 7th Reinforcement. He left Australia on 18 January 1916 arriving at Alexandria, Egypt on 16 February 1916 but was soon off to France, arriving at Marseilles on 27 March 1916. The battalion first went to northern France close to the Belgium border and were in the trenches at Bois Grenier during June. While there, John wrote a letter to Mr Harper the president of the Miners’ Union at Ora Banda describing gas warfare. He concluded his letter, “Give my best wishes to all who know me”. 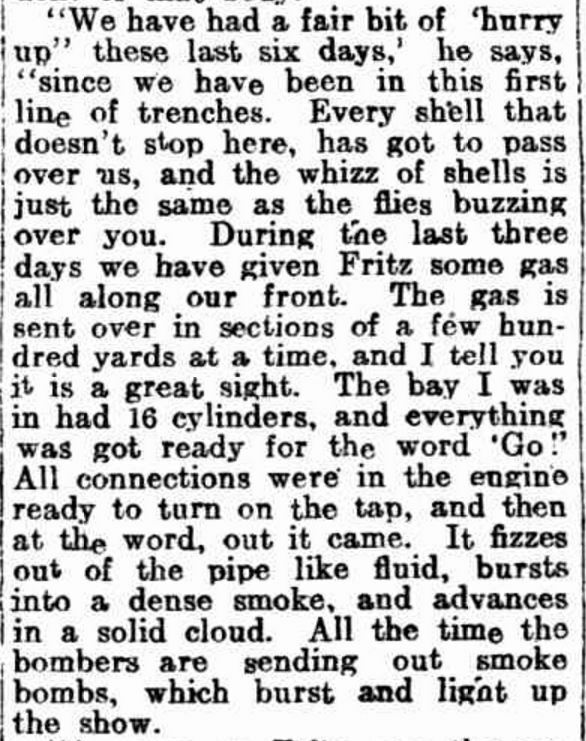 “BRITISH GAS FOR THE GERMANS” Kalgoorlie Miner (WA : 1895 – 1950) 12 September 1916 <http://nla.gov.au/nla.news-article92168308&gt;. From 6 July they began to move south reaching Albert by 26 July. 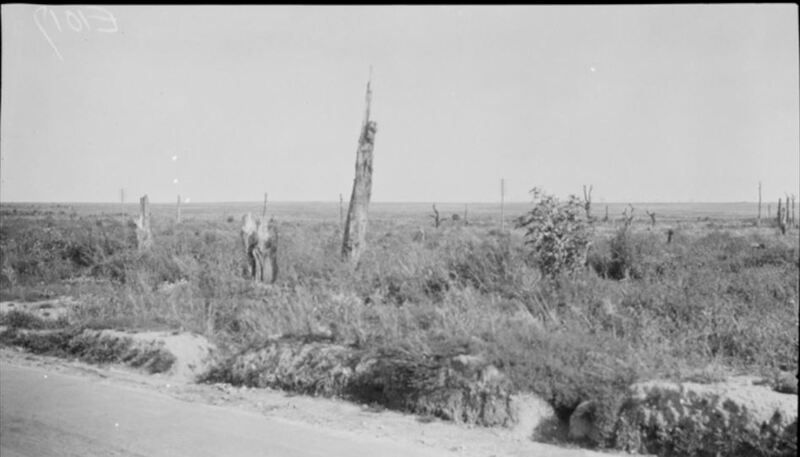 The following day the 28th Battalion were in the trenches at Sausage Valley near Pozieres as they waited for their first major battle, an advance expected around 11:30 pm. At 12:10 am, the enemy opened fire, bombarding the Australians, with casualties among the battalion. The 28th Battalion were part of the return fire and men began advancing in waves resulting in heavy casualties. At 2:50 am, and the advance was turning into a disaster and the order was given to withdraw. John Taylor was missing, never to be found. He lies somewhere in the fields north of Pozieres (below). Eliza Taylor tried to get news of her son, writing letters to the Defence Department and asking relatives to write. The reply was he was killed on 28/29 July 1916 but no more details of his death or burial were available. Considering the events of the 28/29 July, it more than likely John died on 29 July. The first inquiry into John’s death was held on 22 June 1917 finding there was no trace of him. Letters were still being sent from the family in 1919 asking for more information. During September 1916, Mr Harper of Ora Banda received John’s letter written months earlier. By then he had heard the news of John’s likely death and passed the letter on to the Kalgoorlie Miner and it was published on 12 September 1916. A tree was planted for John along Hamilton’s Anzac Avenue in 1918. John’s mother Eliza continued living in Hamilton until her death in 1923. His brother Thomas remained in Hamilton until the early 1930s, before moving to Baangal at Skipton where he died in 1943.